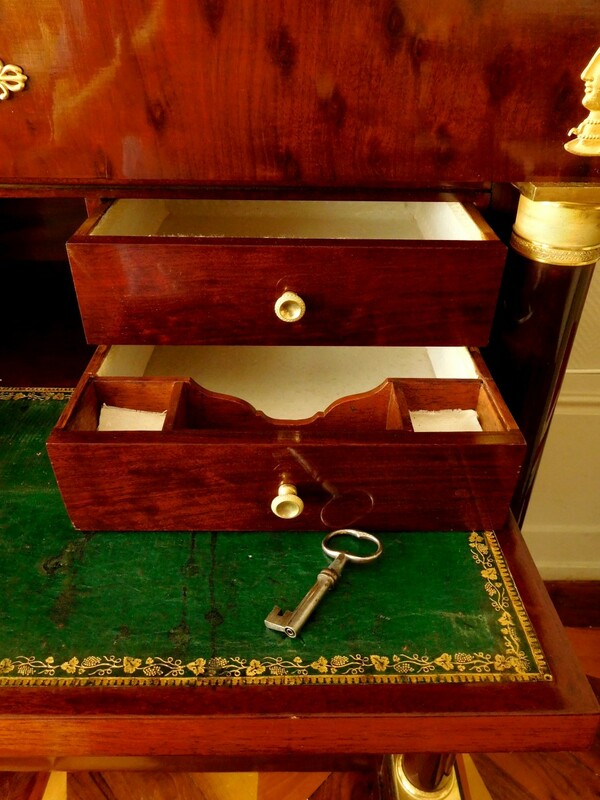 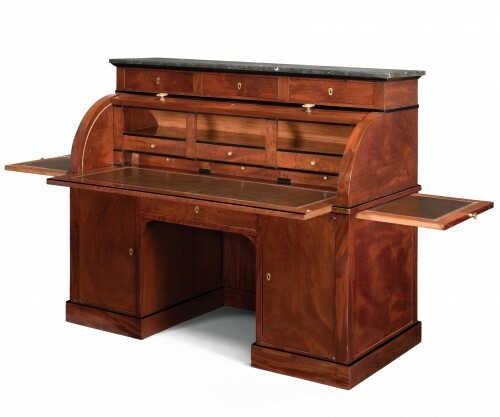 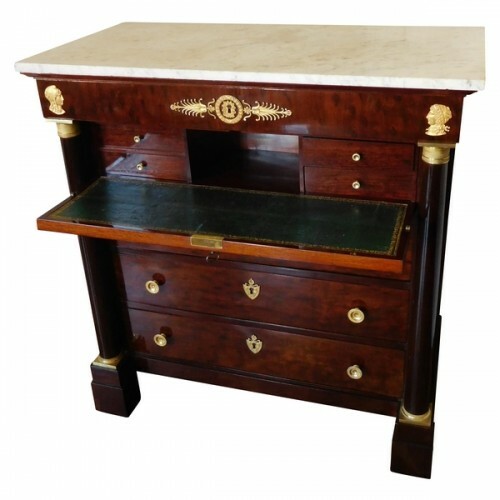 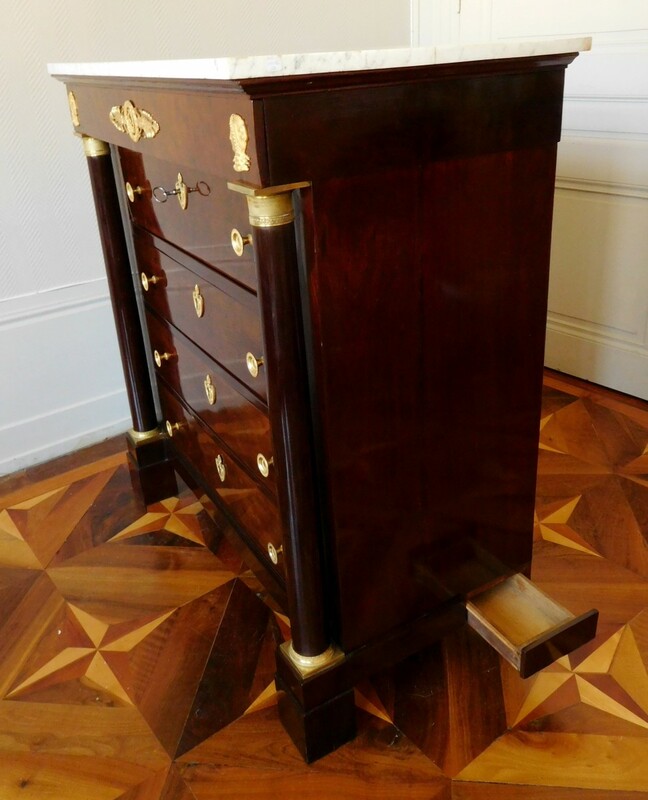 Rare commode hiding a desk in the top drawer. Such furniture is called a commode-secretary. 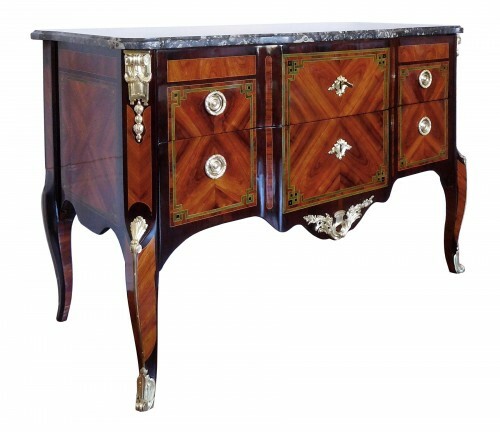 Luxury production stamped of Molitor one of the most taletend French cabinet maker of the late 18th early 19th century. 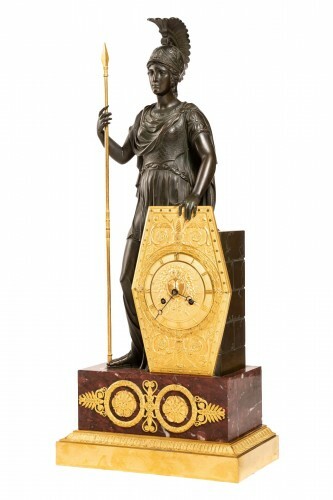 The rich bronzes are attributed to Thomire (who collaborated a lot with Molitor). Empire period circa 1810. 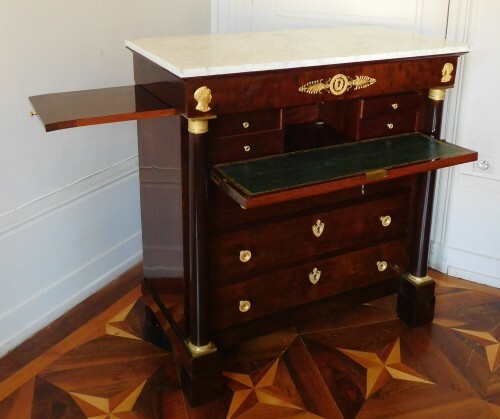 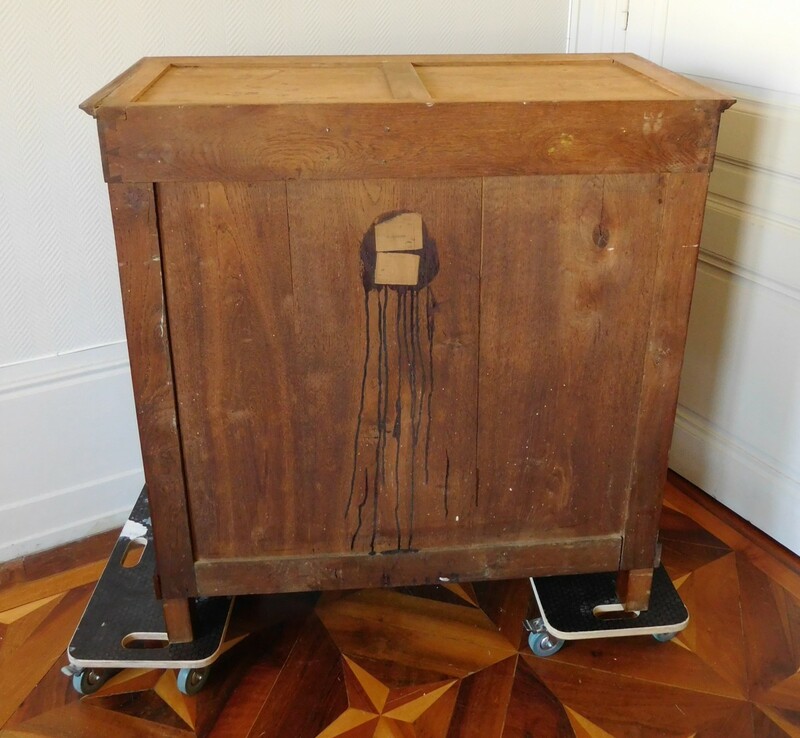 Bernard Molitor (1755 - 1833), Master in 1787 quickly became one of the first Parisian cabinetmakers and received orders from the Crown since 1788. Very innovative Molitor is a precursor of the Empire Style. 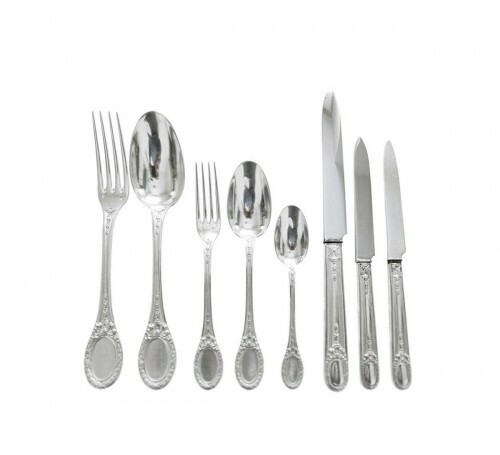 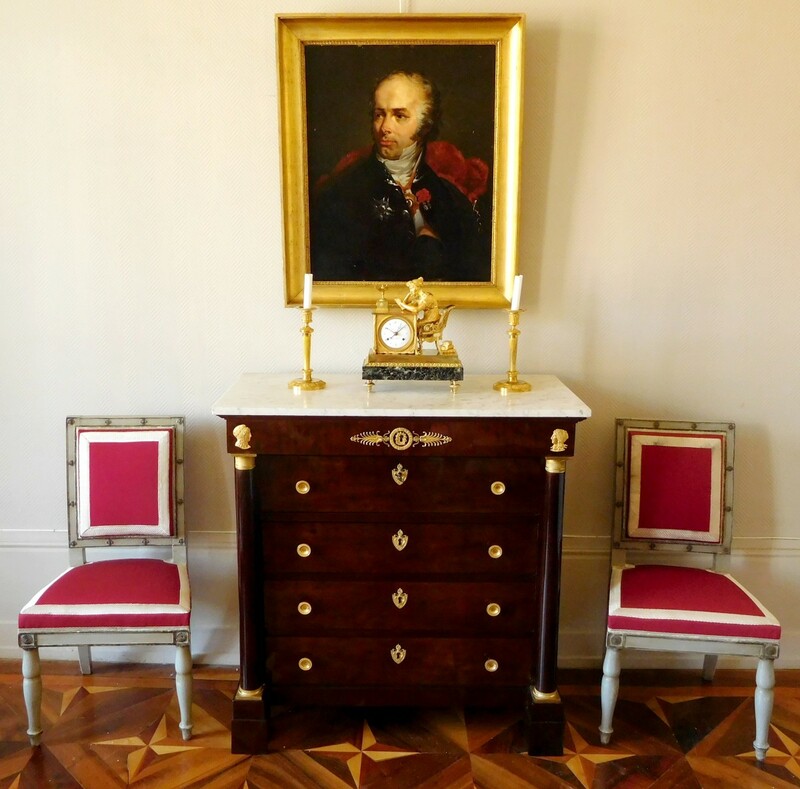 From the end of the Louis XVI period, he announced the Empire style by using on his refined furniture, busts of Egyptian, friezes of palmettes or griffins that will be widely used under the Empire. Molitor was very sucessfull until the Restoration. 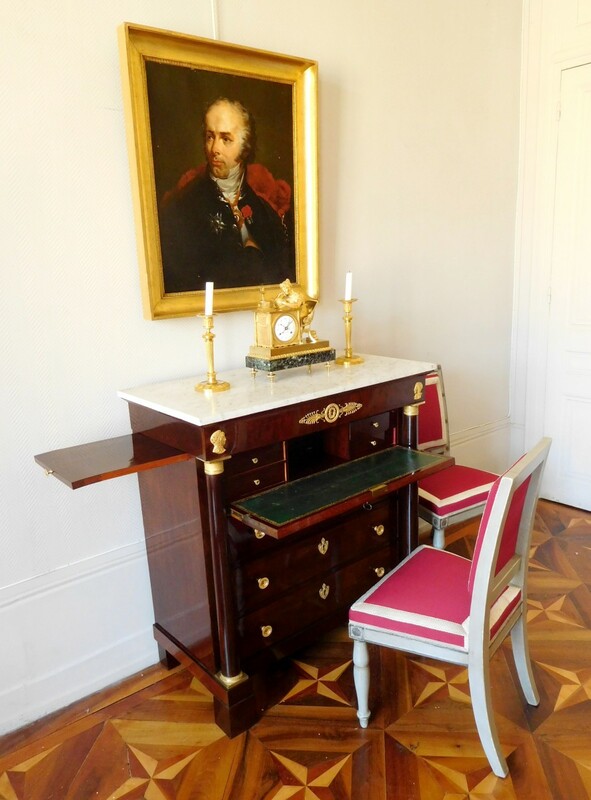 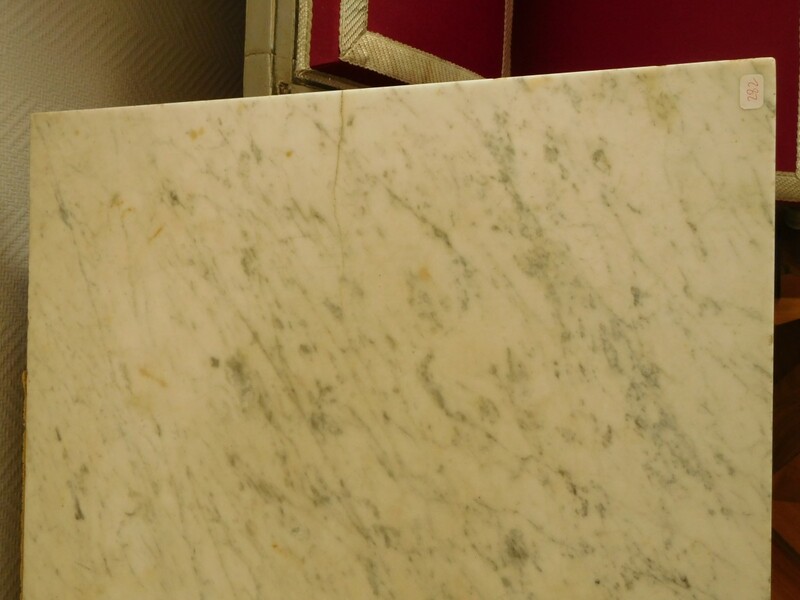 Molitor furnitures are exposed in the biggest museums and collections. 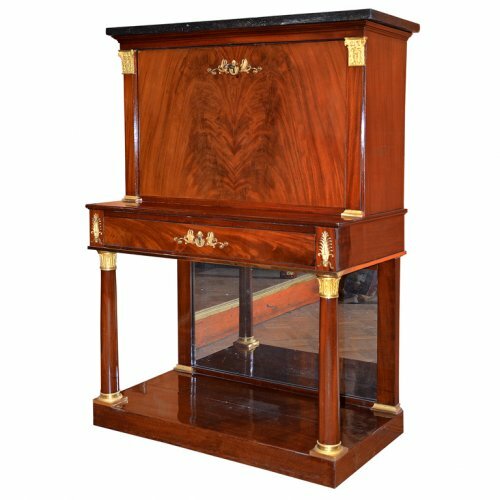 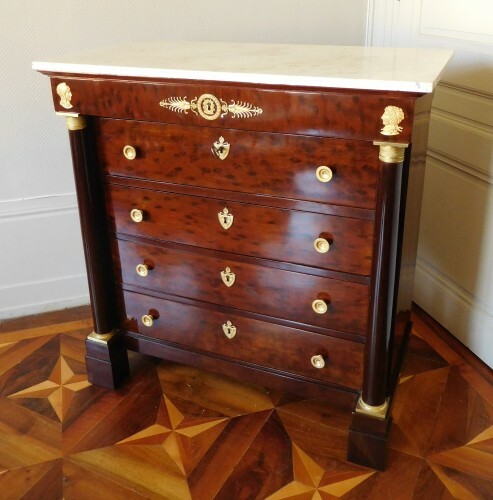 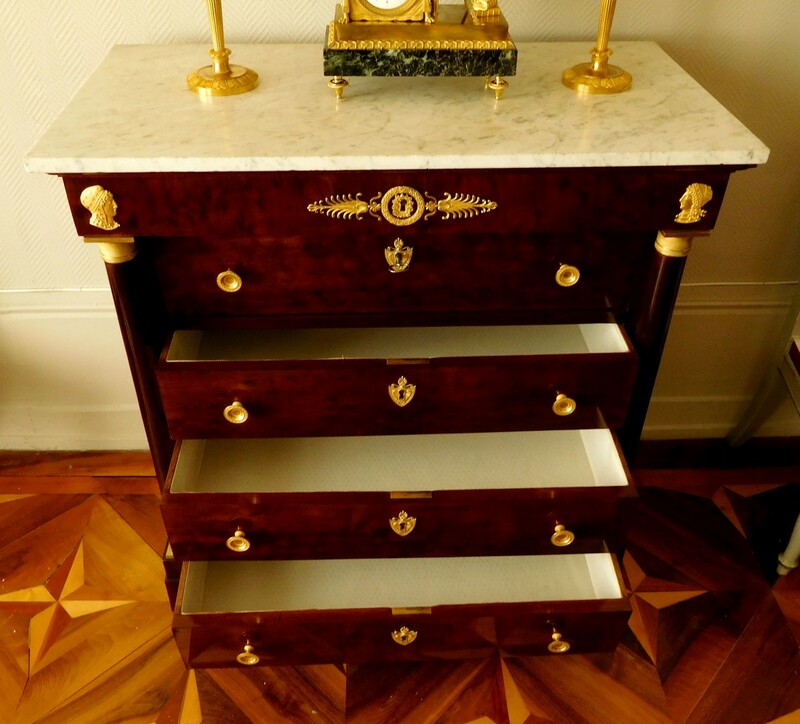 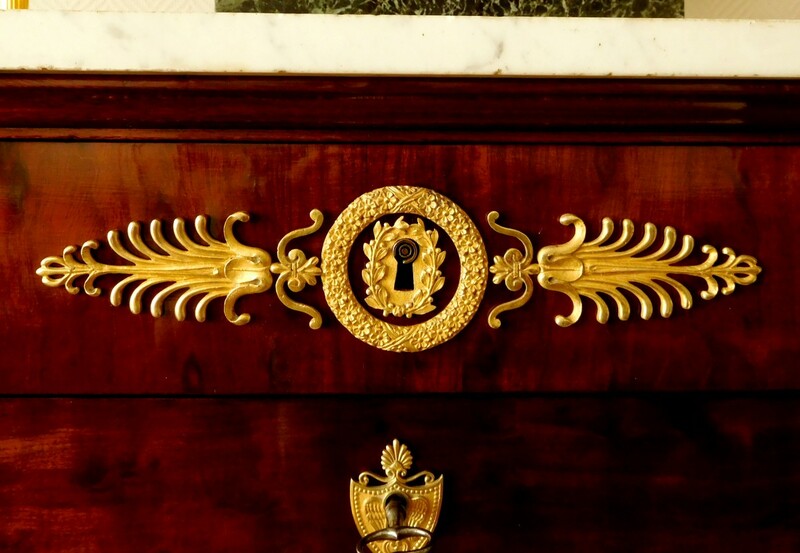 Our dresser is typical of the work of Molitor which mainly uses the mahogany veneer with very fine ormolu bronzes. 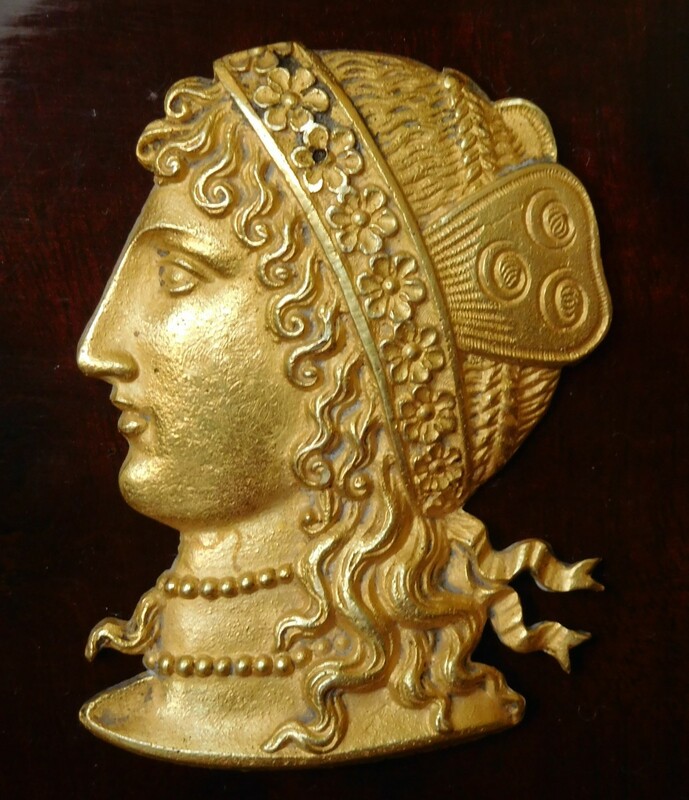 Beautiful collector's item, worthy of the Marmottan museum in Paris. 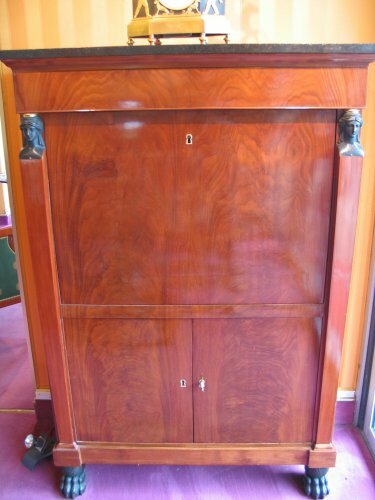 Our furniture is in excellent condition. 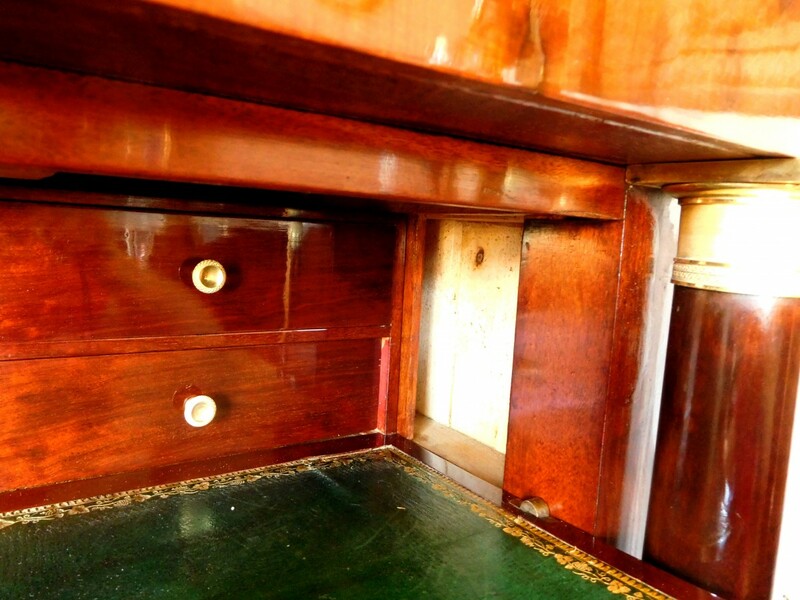 varnish is new. 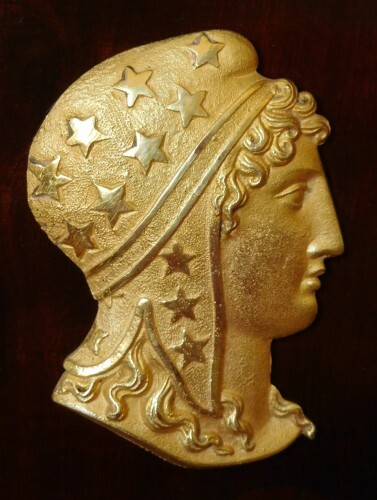 Mercury gilding bronzes well preserved. 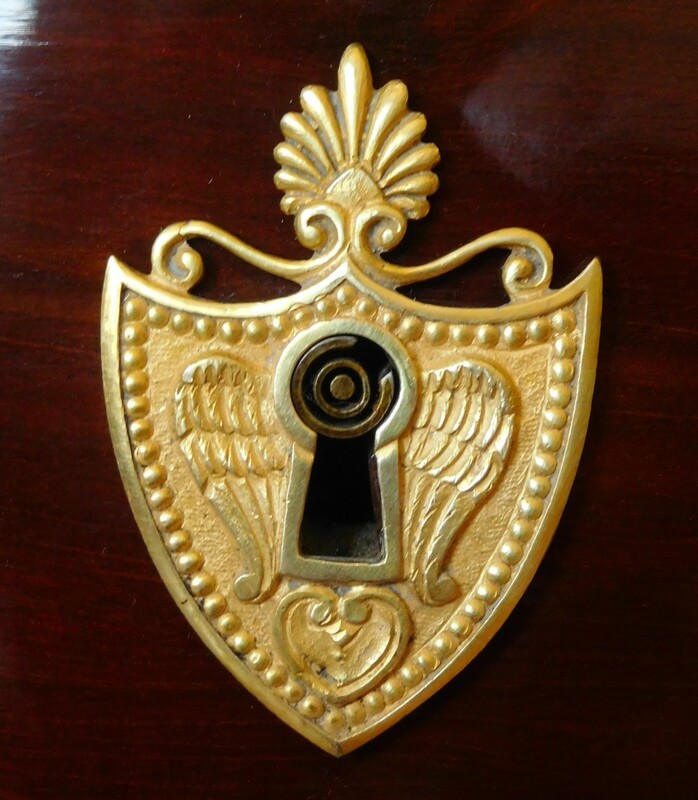 Complete with its key.